Shoot us now and be done with it. Questions re: BL2 vita/ps3 x-save? I'm told PS3 update will happen Friday. Fingers crossed - it's totally out of our hands. EDIT: UPDATE: Pitchford has since released another date, Tuesday May 20th. It appears that the game has suffered numerous setbacks since it's early launch date on the 6th. Only a week before launch did we learn that the originally touted four player co-op had been reduced to a mere 2 player game, but the highly anticipated cross-save feature was completely missing on release. 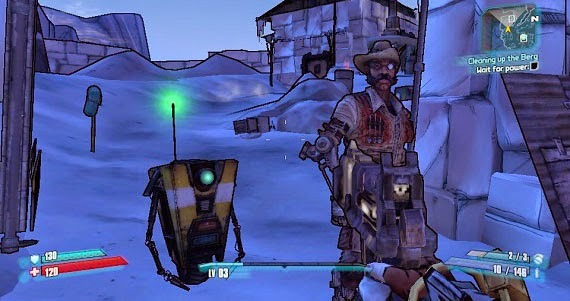 Now we've also heard that if our cross-save characters are above the Vita's player cap of 61, we won't earn any more exp., nor will be able to use any of the inventory items those characters have from the Ultimate Vault Hunter Pack 2, Sir Hammerlock's Big Game Hunt, or Tiny Tina's Assault on Dragon Keep. So roughly 80% of all my level 61 plus characters will be rendered useless due to incompatibility of their inventories. Zero Skill Points. That sounds about right for this port. This news is just one more nail in the coffin- all the frame rate issues, sluggish motion, unresponsive controls (the rear touchpads are horrendous here), extremely poor hitbox detection, and lagging of controls, visuals, and sound- the PS Vita version of Borderlands 2 is one giant pile of crap. Iron Galaxy may have tried their best, but it wasn't even close to hitting the mark in any way. Maybe they should've tried focusing on just porting the main campaign instead of cramming in an already humongous amount of substance. As much of it as I've played makes me feel frustrated that I paid money to support the Borderlands franchise on the Vita after almost 2 years of supporting and purchasing all the various DLCs, and I'm quite regretful of that decision. All of the game's worst problems are quite magnified when compressed into such a small form- and the constant argument of the Vita's hardware limitations seem unrealistic, as Killzone: Mercenary was quite phenomenal, as were Gravity Rush, Uncharted: Golden Abyss, and Little Big Planet. It can be done. In the end, it's sad to say, but this is Borderlands 2 chewed up and regurgitated into a mess that is like trying to play a sloppy slideshow instead of a game. 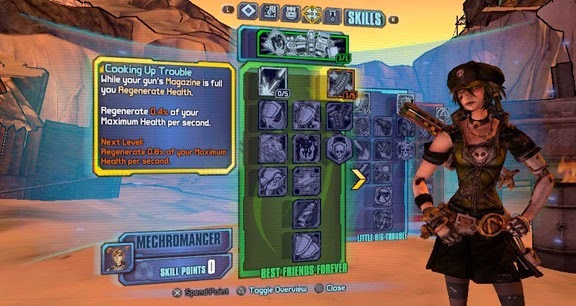 Perhaps someday Gearbox will release a smaller game with better controls- something like a combination of the Headhunter Packs and a full DLC as a Borderlands on the Vita. Or, better yet, maybe they should make something Vita exclusive and really make it shine instead of cramming a whale-sized game into a can. It was an ambitious project, but not well done and the few merits in the game definitely don't balance out the issues. Good gods, there were plenty of times I counted a full three seconds before the shot I fired registered, killed, and exploded enemies. It goes from annoying to almost impossible to play when it's this consistently choppy. All the fun has been drained out of the game and this is what was left. Another 6 months of work could possibly have helped this game perform better, but as it sits, I can't honestly recommend it to either Vita fans or Borderlands fans.